In nearly every workplace safety situation, OSHA requirements are a good place to start. Eye protection, as well as protection for your hands, is critical. You need to choose a pair of boots designed to protect your feet as well. This should include composite or steel toes capable of withstanding the blade should you accidently hit your foot. You also need features capable of minimizing your risk of a slip, or ankle roll during operation. HAIX® boots have the traction and support necessary to minimize such risks. Of course, chainsaw safety also includes proper training and an appropriate workspace. You should learn as much as you can about operating a chainsaw from a licensed professional. Also, be sure to stay up to date on the requirements for operating a chainsaw in a safe environment provided by OSHA. This information is a fantastic place to start. At HAIX®, we provide you with access to the very best products for your feet. 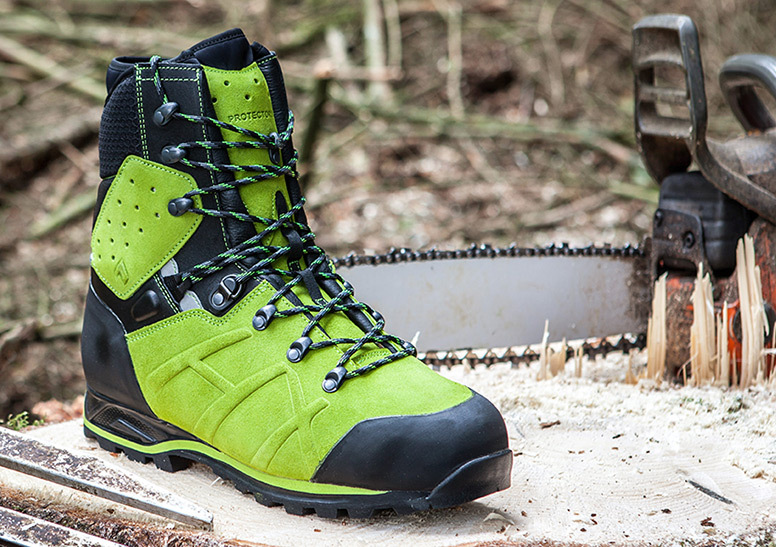 When you are heading out for a long day working with a chainsaw, you can rely on our chainsaw safety boots to keep you safe. Contact us to learn more or place your order for boots today: 866-344-4249.